Turkey plans to return three tactical drones to Israel, allegedly due to "poor performance." 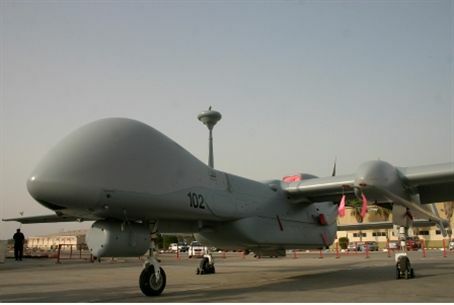 Turkey is planning to return to Israel three tactical drones, allegedly due to "poor performance," reports the military periodical Defense News. The unmanned aerial vehicles (UAVs), built by the Aeronautics firm, are called Aerostars and are tactical aircraft purchased by Turkey for $30 million in 2007. UAVs are used mainly for reconnaissance, surveillance and intelligence purposes, although occasionally upgraded drones have been used for offensive purposes as well. According to the report, the Aerostars were purchased to fill a gap between short-range UAVs and 10 Israeli Herons that were delivered to Turkey in 2010, all of which were MALE (medium altitude, long-endurance) UAVs. They are being returned by the Turkish military allegedly due to poor performance against the PKK Kurdistan Workers' Party terrorist organization, but no details were provided. Relations between Turkey and Israel continue to be on edge following a clash in 2010 between armed terror activists and IDF commandos aboard a Turkish-owned flotilla vessel that tried to breach Israel's maritime blockade of Gaza. Eight Turkish nationals and one American were killed in the clash after the terror activists attacked IDF soldiers as they boarded to redirect the vessel to Ashdod port. Turkey expelled Israel's ambassador over the incident and relations have deteriorated since.